Our Realtors offer Sanibel, Captiva & Fort Myers area videos of the area and local real estate market news. Learn more about the Fort Myers real estate market here. Enjoy Captiva Island, Florida. 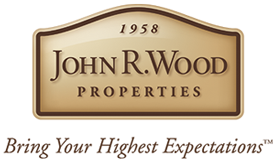 Created by John R. Wood Island Real Estate Discover Captiva Island, this film of our Island shows stunning videography of Captiva and the lifestyle that the Islanders enjoy. You’ll see exceptional footage of Island events, sunset and world renowned South Seas Resort.